We're Where You Want Us - When You Want Us! Allentown Emergency Locksmith is a first class locksmith service. We provide 24/7 emergency mobile services around the clock. When you need an emergency locksmith in Allentown, we are here to provide 24/7 automotive, residential, and commercial locksmith services. We specialize in emergency lockouts, broken key extraction, lost an automotive key, as well as broken lock repair, lock re-key, lock replacement, master key, and more. For your convenience, our emergency locksmiths are available, any time. In addition, we also provide services by a scheduled appointment. Our locksmiths are here for you, 24 hours a day – 7 days a week, including weekends and holidays. We solve all kind of lock and key problems, and we solve your lock problem on the spot. Whether automotive locksmith or emergency locksmith Allentown PA, and whether residential locksmith or commercial locksmith, we’re here to help. Our wide range goes beyond re-keying and replacing locks such as door knobs and deadbolts. We are experienced in commercial locks such as rim locks and mortise locks. Our pros can handle them all. From auto lockouts to re-keying, you can count on us to get the job done right. And you can count on our professional locksmith to be there for you when you need us most. Put our experience and expertise to work where they matter most; for you. 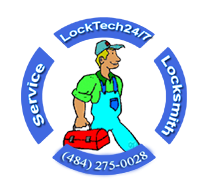 We provide an extensive range of locksmith services so you can be sure we are your premier local locksmith Allentown PA. When you consider the security of your home and the safety of your family, you want the best. You want to be sure that the company providing your lock service is top notch. It is important to search for a trustworthy locksmith company. And it’s also essential that you take your time to pick the appropriate locksmith company. The first factor you will need to consider is your locksmith needs. You can then phone a few different companies to talk about these details. Try to uncover out what would be the best answers to your questions. Remember, it is not just about checking for the best price, you also need to take into account other aspects as skill and honesty. You need to have complete trust in your locksmith, to not only make your home as risk-free as attainable but also to be able to respond when something goes wrong. Our lock and key services were founded on the basic principles that ensure a successful business, which are hard work, determination, integrity and commitment to keep customers satisfied. No matter what your emergency locksmith need is, we’re here to help. We have the best staff and highly trained technicians across the Lehigh Valley. We can assist you. Our staff comes fully insured and bonded. Therefore, we are certain that we can deliver the dependable service you expect. We have top of the line customer service that is willing and ready to point you in the right direction. Our locksmiths are very knowledgeable. And we can fully explain to you all available security options. Including, of course, the various security levels for each door you have so you can choose the best option for your needs. We understand the importance of protecting your home, car, and business at all times. Whether your needs are residential, automotive, or commercial, we have a variety of both state-of-the-art and traditional services. It is the commitment of the professionals in our team to ensure the safety of our surrounding communities. Our locksmiths take pride in their work and services. If you lock yourself out, don’t hesitate to call our emergency locksmith service, 24 hours a day, all year long. We know how frustrating it can be to accidentally lose your car keys or lock them in your car. Our staff is experts at getting you back on the road as quickly as possible. Your Trusted Local Locksmith Company. Bear in mind when you seek the services of a locksmith, you allow a person you really don’t know onto your property. You’re providing him inside information of your locks and protection set-up. Though it is by no means frequent, it is not unheard of for locksmiths to abuse their job to steal from the customer’s property. You can rely on our experts to provide you with great locksmith service. Locksmith Allentown is a well-known locksmith service for thousands of residents in the Lehigh Valley, PA. Many of our clients find out about us through our other clients’ recommendations. Our good reputation spread by word of mouth, and they choose to use our services when they are in need. As for today, they are now our repeating customers, and they recommend us to their friends and family, who need locksmith assistance in Allentown, PA.
Our recommendations are due to our incredible service delivery since we provide the best locksmith solutions at the low as possible cost. When it comes to emergency locksmith situations, you want the best locksmith in Allentown. Our locksmiths are waiting for our call! We help residents of Allentown with all emergency lock and key problems. We are the fastest emergency locksmith company in Allentown, Pennsylvania. Do you know the sinking feeling you get when you lose the keys to your car? If you think a locksmith brings relief in automotive lockout situation, our automotive locksmiths quickly resolve these stressful moments with ease. We can get you back on the road quickly after you call us. Many times you feel concern about your family’s safety, and you can’t find peace of mind. You want to make sure your family is protected and your assets are safe. After you call us, you can lay your stress aside. Call us to re-key or change your lock, or upgrade your security, we are #1 Allentown locksmiths. When you think about security for your business, think about the expert commercial locksmiths of Allentown, PA. Please call our experts to repair, re-key or replace the locks of your office, as well as for a free consultation. When you look for a reliable locksmith in Allentown, you find us as your best choice of locksmith. Request Locksmith Service – Start Here! We care for the safety of our local community. Your local locksmith company, wherever you’re located in the Lehigh Valley. We know that customer service is one of the key aspects that will affect a business, and it’s especially true for small business. 24/7 Emergency Locksmith is just a phone call away at (484) 275-0028. We do all emergency lock outs in Allentown, Pennsylvania. Our prompt response is a derivative of speed. We know that customers wants our services – fast. Our locksmiths provides a wide range of services in and around locksmithing. Therefore, we pride ourselves in being expert locksmiths. We have highly trained locksmiths coupled with excellent workmanship put into the product will guarantee us future business reputation. We are where you need us When you need us!